Just as it is with a real dog, everyone has their preferences. 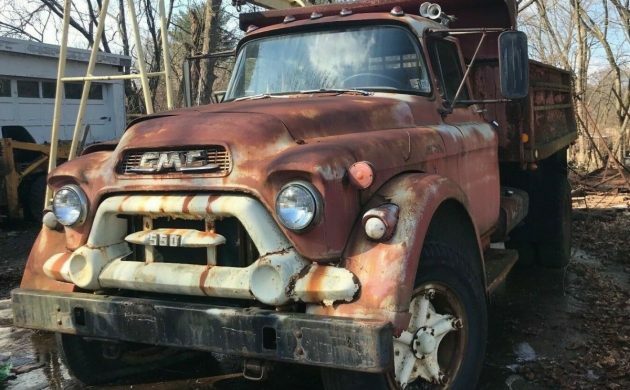 Some have an acquired taste for a COE, while others might prefer the look of this 1957 GMC Bulldog dump truck. 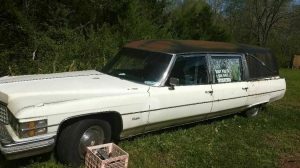 It is has a buy it now price of $2,500 with the ability to make an offer and if you purchase it, the truck is located in Bethlehem, Pennsylvania. There is a clean title to the truck although the date isn’t specified. You can view more on eBay. 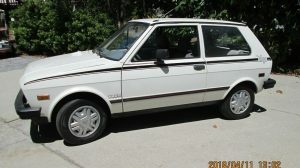 The listing does not have much information about the engine or if it runs and drives. Photographs show that some new wiring might have been used to attempt to start it. There is also a photo of one of the build tags and from the factory, the engine was only producing 158 net horsepower. That is amazing considering the gross combination weight was 48,000 pounds. Gearing in transmissions can work wonders. The interior looks dirty and primitive. If this truck could talk, it might have some fascinating stories. It does have what looks like a more modern fire extinguisher. What heavy duty truck doesn’t seem to carry blocks of wood? 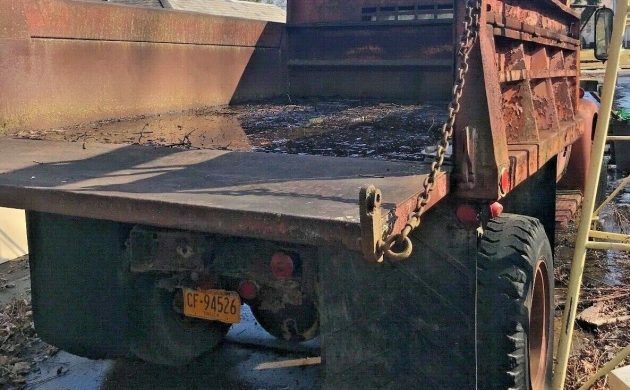 This dumper is no exception, probably using them to chock the wheels. 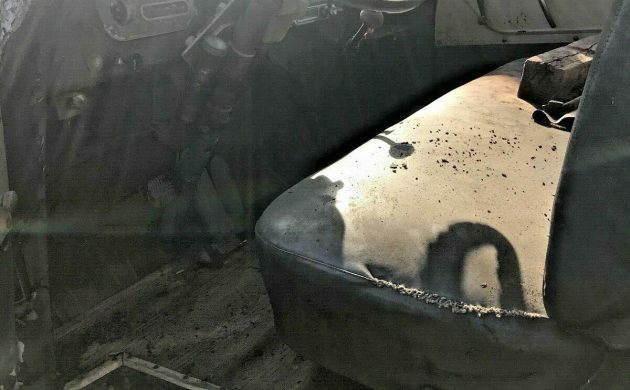 There does not seem to be any major rust or holes in the truck. That should make restoration easier if that is your goal. The dump bed itself does not look to be in too bad of shape either. While it is rusty, it does not look like it is decaying. 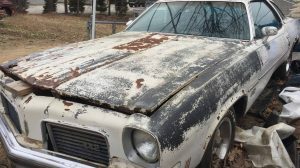 According to the seller, the truck is in need of restoration. There is no argument about that, but it might not take a whole lot to get this truck working if you have plans only to use it around a farm or other private property use only tasks. The price seems right and if I had money and space, I would purchase it. I’ve always wanted to own a dump truck. With respect to the author, I never heard of these trucks referred to as “Bulldog”. That was for Mack trucks. I believe that is a 371 Olds motor( although, GMC called it a 370) and the model 550 was the smallest of the big Jimmy’s. I’ve driven gas V8 dump trucks and they are worthless. But before diesels came about, this was as good as it got. Great old truck for around the yard. I had a few of these come through the shop years ago. The ones I worked on were powered by the Pontiac-based 347. GMC grabbed V8 engines from whatever division was available except Chevy and Cadillac. 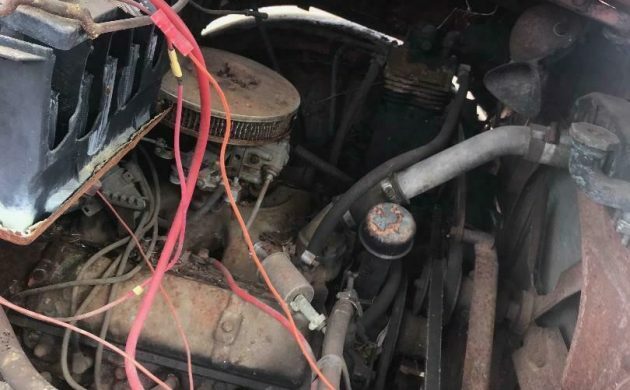 I saw listings for Oldsmobile, and Buick Nailheads but never saw any of them although I worked over an NP 5-speed that was fitted to the back of a Nailhead. And Howard, I never heard of them being called a bulldog either although there is a resemblance. Looks like an Oldsmobile-based engine in this one. The carburetor has obviously been changed to a Holley 500 2bbl. That was a good carb to put on a Ford FE but I would be skeptical about putting it on something like this. I’m not sure what this originally came with (Pontiac-based used a Stromberg WW2) but I’m sure it would be a Stromberg or Carter. I am a cat man. Back in 1961, I drove a version of this truck configured as a single axle semi tractor. 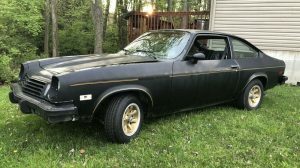 It had the Buick engine with a 4 barrel, and it did a good job. It did 200 mountain miles on the average daily run, and it was a good, reliable truck. The gears were a friend on the hills. The larger Diesel powered Kenworth and Peterbuilt, and White tractors were becoming more common, but this size of gas powered truck was still the mainstay on the highways at the time. I loved the truck and the job, but I was using the money I earned to get an education and only drove it for 2 years. I’ve got a 78 C70, I wonder if he wants to trade? BTW, I never heard of it being called a bulldog, but looking at now, does convey that image. Junk ,junk ,junk theae people who post these “barn finds” certainly have never restored a vehicle. A.garage.kept.vehicle is quite a job to restore ! Think about repairing a rusted out windshield.and so on, not even a good parts truck. That battery is not starting nuthin! I was wondering if anyone else saw the state of the battery….lol! This thing is cool, wish I had a way to get it to Pittsburgh! My father owned a 1957 GMC but it was a tandem coal truck with a 5 speed main and a 4 speed auxiliary. It also had a Pontiac motor with 27000 lb rears and a 17 door dump body. If a car had a front end that looked like that, it would be ugly, but this looks great. The ’57 Cadillac was pretty close.